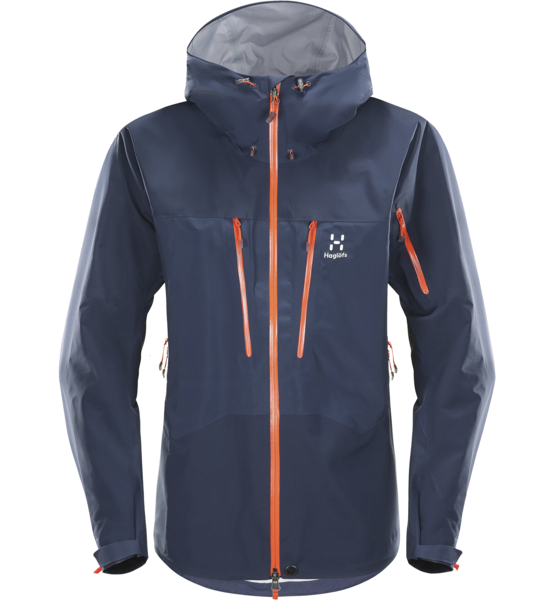 The Haglöfs’ Spitz Jacket meets the demands of today’s climbers. Materials, structure, build and utility combine to make a standout piece. 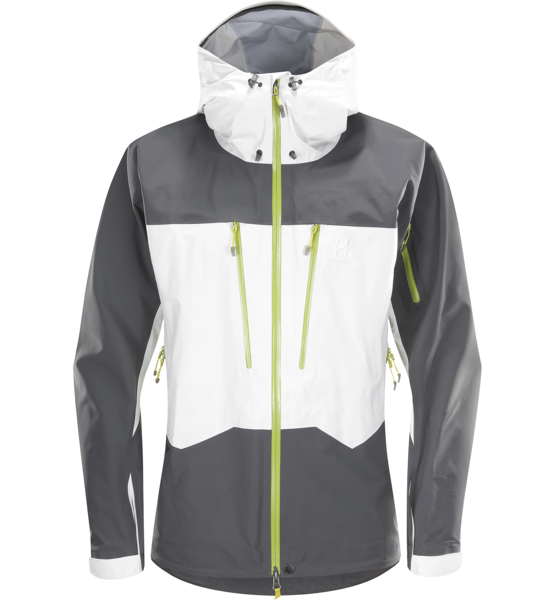 SKU: Spitz Jacket Category: Waterproof Shell Jackets Brands: Haglofs. 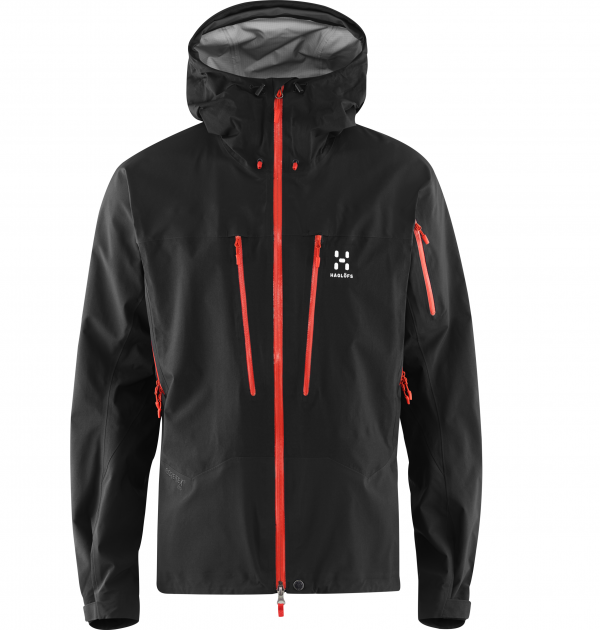 The Haglofs Spitz Jacket is built with ergonomics and equipment in mind, the jacket is made to fit the form, designed to accommodate what the wearer is carrying, and reinforced to provide extra durability. 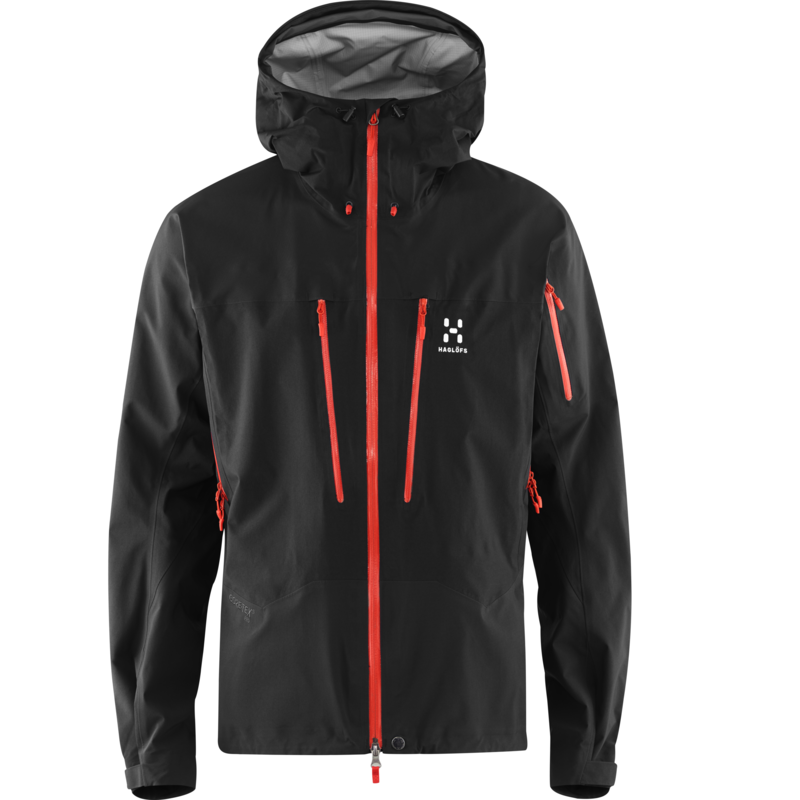 Added to this, Haglöfs have used three-layer Gore-Tex Pro fabric in its construction, so the garment is hardy enough to withstand really tough conditions. The jacket is designed short, so as to avoid interfering with your harness, and toughened up at the points where you need it the most – shoulders, sleeves, back and hips. The helmet-compatible hood has a reinforced peak to aid visibility in rough weather. Pitzips provide easy ventilation and several pockets, including two Napoleon chest pockets, leave room for your essentials. The zips are laminated and watertight and the Pro material can withstand both severe weather conditions and vigorous activity. 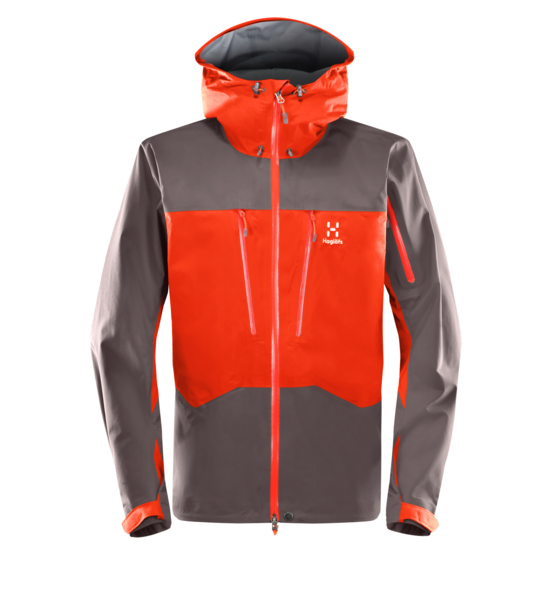 This is a garment that facilitates some pretty extreme adventuring.